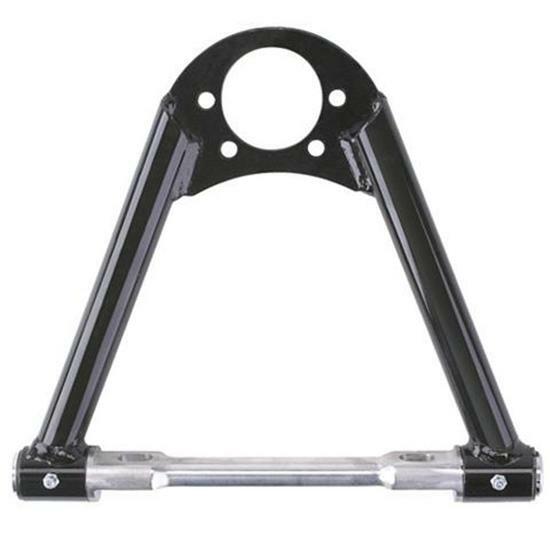 These strut style tubular steel upper control arms feature an aluminum cross shaft. They accept Moog K6024 or K6136 style bolt-in ball joints. Cross shaft bolt holes are on a 6" center. Length is measured from cross shaft centerline to ball joint center.